My name is Hank Sanders, and I am a junior at Lincoln High School in Portland, Oregon. Lincoln High has a reputation for being a school of privileged students from wealthy families. However, all around our school we deal with homelessness. Just outside our doors, in downtown Portland, we see a homeless problem that is rampant in our city. In 2015, the mayor declared it a housing emergency, and from that time, the homeless population has risen 10%. Every year several students attend our school without an address. One of Lincoln’s most popular classes is our culinary arts class. Each year, slots for this class fill up quickly. The teacher, Ms. Anderson, does a wonderful job training young cooks by getting students interested in food and teaching them practical skills in the kitchen. One day, I was walking through the cafeteria, and I saw our students making cakes and pastries in our renowned culinary arts program. While this program is popular and a great asset to our school, I thought we could do more. I realized students could use their skills in the kitchen to give back to the community. I sat down with some of my friends and an idea: instead of cooking for ourselves, what if we allowed students to cook for people outside of our school? With our reputation as a school that doesn’t give back as much as we could, why couldn't we motivate people who like to cook and allow them to use their skills as a community service? So two friends and I started the first student-run nonprofit dedicated to fighting hunger in Portland. We called it CardsCook, named for our mascot, the Cardinals. 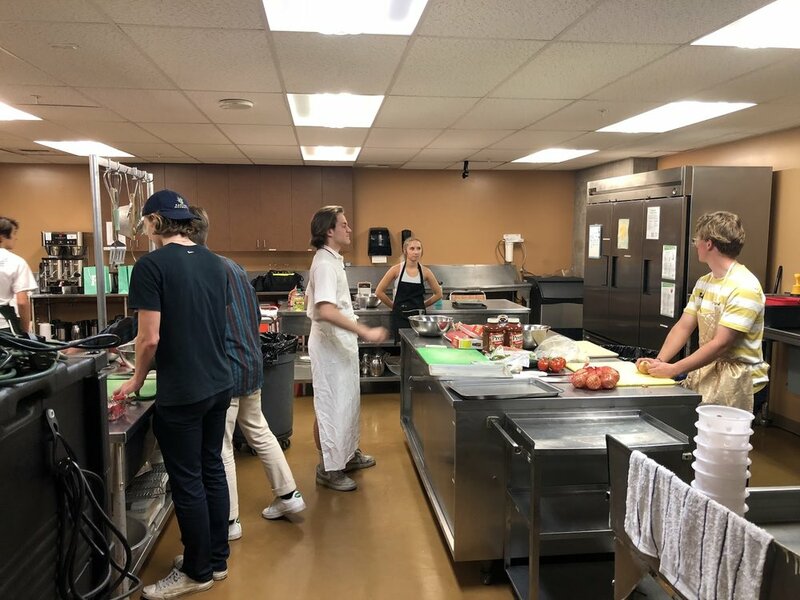 Dedicated to serving the young adult homeless population, ages 0-25, CardsCook partners with Oregon Food Bank (OFB) and a nearby church called First Christian to serve meals after school. OFB provides our ingredients, while Clay Street Table provides insurance and supervision for the food preparation. At least once a week 8-12 students walk across the street and prepare a meal for 300-500 people. Over the past two years, we are proud to say we have served almost 27,000 meals, and almost 100 high school students have volunteered over 2,000 hours. The idea behind our program is a simple one—which means it can be copied—and CardsCook encourages students from other schools to open new chapters. 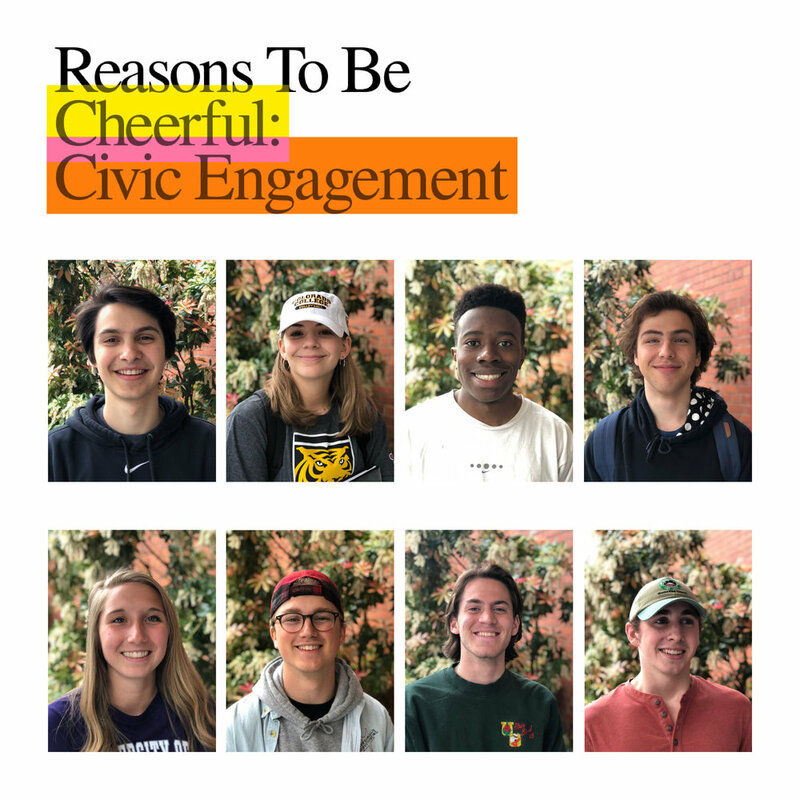 By the beginning of next year, we plan on starting chapters at Jesuit High School, International School of Beaverton, and Lake Oswego High School. Beyond the statistics, the thing that brings volunteers back is the community the students have made. After serving, each student sits down and eats with the people we serve. When that happens, when that barrier is broken, the people you see on the streets are more human. We have all been there. You’re walking down the street, and the homeless man at the corner comes around with his cup asking for money. Your first instinct is to not give it to him because you think he obviously isn’t going to use it for food and shelter, right?? I know this feeling because I have been there. When I sat down and talked to these people, I realized the reasons I used to think were behind their homelessness were not telling the whole story. While drugs and alcohol can play a role, their situation is more often a result of the cyclical poverty that harms many of the people we serve. Most of the people under 25 grew up in an environment of abuse and homelessness. They inherited the issues they deal with today. Eat one meal at the same table and your perspective is changed. Volunteers Ben Brandenburger, Stuart Diffley and Mckean Farnell prepare for service. Volunteers Alex Paskill and Mary Skakil serve tater tots and grilled cheese. While we are excited about the progress we’ve made, we know we can do even more. We are well aware that the work we are doing is a band-aid. Serving food is not making a lasting impact on our community. This is why we have created Oregon’s first Homeless Solutions Incubator, a nonprofit designed to prototype and produce small scale solutions that improve the quality of life for people living on the streets. We develop a solution by talking to the homeless community, coming up with several ideas, raising money, then using the money to test the solution in a small community. If the idea works, we decide if it is scalable, and present that idea to our board to make it into a lasting resource. There are three ideas we are working on this summer. First, we are working with local newspapers to employ homeless people to write a tips and tricks column to tell non-homeless people how to assist the homeless community. Second, we understand the role animals play in keeping people safe and sane on the streets, so we are working with local veterinarians to offer free pet care. Lastly, we are working with Portland Public Schools to bring CardsCook to every school in our district, increasing the connection between students and the larger community.